I could have asked him how he knew this since he admitted to not reading the genre. I might have questioned whether romance (the most popular fiction genre) or cookbooks (most popular non fiction) are any different. 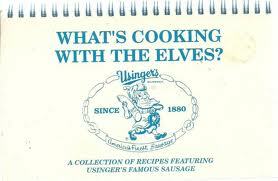 Those recipes never work for me! Instead, I asked him what it was about epic fantasy that made it popular assuming he was right about the predictable endings. To his credit, he thought a while before answering. “It’s in the journey,” he replied. I’ve been thinking about this. During my summer vacation, we camped by a river. The locals told me that there were no fish inhabiting it and it was only good for swimming in. We went down to the river and my sons had a great time with their river rats (inflated tubes) negotiating small rapids. I got out my fly rod, walked a bit upstream and stood in the middle of the water casting. The river was beautiful and clear, the rocks underneath and protruding were smooth and colorful. Majestic redwoods surrounded us and a noble mountain peak loomed above me. Wisps of fog hugged the tops of the trees and later in the day came almost to the edge of the water. 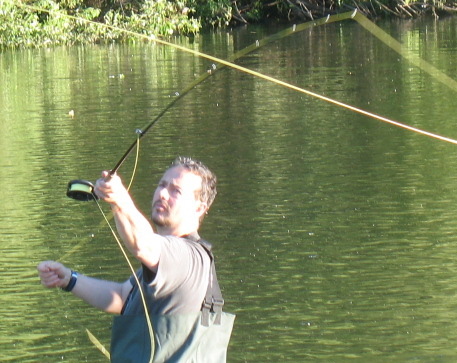 The author, deftly not catching fish! I imagined where a wild trout (huge one of course) would hover and allow its prey to float right to it (a feeding pool, I think the experts call it). I cast my fly and watched it float in a wide arc. Being of only limited skill it took me a while to cast to the right distance, but I was very satisfied when I could consistently float my fly into the (imaginary) feeding pool. A couple walked past arm-in-arm and the man felt compelled to tell me that there were no fish in the river. I nodded and told him I knew. He shrugged, but his partner got it, I think. I did enjoy myself that afternoon. I enjoyed setting up my fly rod and casting it out. I enjoyed the river, the trees, the mountain, the fog. I felt myself sighing as I released the tension of my real world and let it float away with the river. Hemingway fly-fished. Tolkien smoked a pipe (I couldn’t find evidence that he fished but he wrote poems about it – see below). 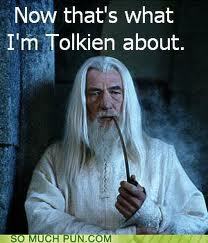 I strive to walk in the shadow of Tolkien rather than Hemmingway, but the pipe has long been relinquished. Still I remember the pleasure I got in packing and lighting the pipe, even cleaning it. I still yearn for the smell of the Borkum Riff tobacco all these years later. I miss it more than the smoking for sure. I recall the anticipation of waiting all day for that special time after dinner when I could sit outside my little house and puff away the worries of the day. 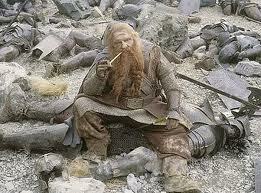 Gimli lights up after a hard day of killing. At the end of one of my fantasy novels is a twist I am very proud of. Those who have read it all tell me that they gasped at that moment. In my writer’s group, while still only on page six of that novel, one of the women guessed the twist. I never responded, never told her she was right. I want her to enjoy the journey. Alon Shalev is the author of The Accidental Activist and A Gardener’s Tale. He has written three epic fantasy novels and the first reached the Quarter Finals of the Amazon Breakthrough Novel Award as of March 2012. More on Alon Shalev at http://www.alonshalev.com/ and on Twitter (@elfwriter).